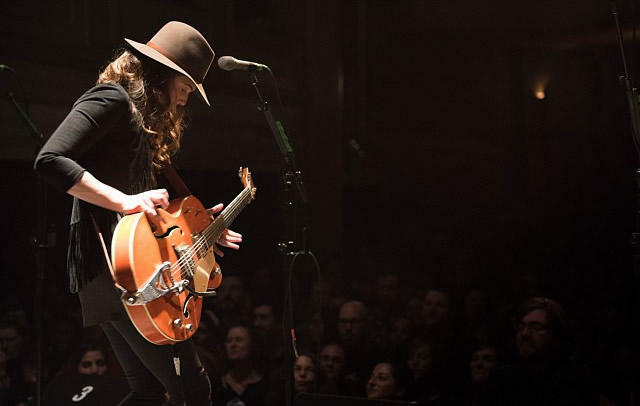 Brandi Carlile is playing the Palace Theatre in Albany on May 23rd. Her indie debut with longtime collaborators, The Hanseroth twins, The Firewatcher’s Daughter was released March 3rd on ATO Records. It debuted in the Top 10 on the Billboard 200, NPR Fresh Air deemed it “her best yet," and it garnered raves from the NY Times, LA Times, Billboard, and more. Here we share portions of a number of songs from the album and speak with Brandi about songwriting, touring, the Looking Out Foundation, and meeting the President. Our next guest is one of the few people who has shared a stage with David Letterman for the entire span of his 33-year long late night career. In 1982, Will Lee became one of the original members of The World's Most Dangerous Band, the house band on NBC ' s Late Night with David Letterman. Then, he made the move with Letterman in 1993 to CBS to become a part of the Late Show with David Letterman’s CBS Orchestra with Paul Shaffer. He is a Grammy award winner who has also performed with pretty much every major music act of the last three decades as well as with three members of The Beatles. He travels around the world with his Beatles tribute band, The Fab Faux.